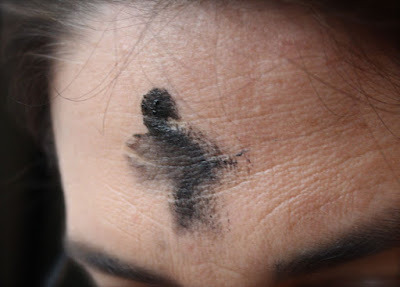 Another Anglican Blog: Homily for Ash Wednesday – Is imposition of ashes against the Gospel? Homily for Ash Wednesday – Is imposition of ashes against the Gospel? These words of Jesus seem to go completely against what we are going to do in a few minutes because, far from washing our faces or putting moisturiser on them, we will receive the sign of the cross on our foreheads traced with ashes as a visible sign that we are entering in a solemn season of fasting, almsgiving, and personal prayer. So are we really marking our foreheads in spite of what Jesus commands us to do? Is the litugy of imposition of ashes against the Gospel? The short answer to this question would be, “No”. But because this question seems to arise with regularity about the Ash Wednesday liturgy, I think we should find a more satisfactory answer to it. Let us begin by looking at the gospel reading. Matthew 6 contains a variety of instructions concerning how we should live out our faith with particular regard to personal prayer, almsgiving, and fasting and each time Jesus mentions one of these we hear a stern and repetitive warning to keep our own piety in secret between ourselves and God. This is because Jesus addressed his words initially to a culture where pious and religious individuals were greatly praised for their efforts; consequently many people made public displays of their devotions in order to receive respect, status and admiration. But against this cultural trend Jesus warns his followers not to be like them and not to have their personal piety “trumpeted before” them, lest they trade off the reward the Father would bestow on them to gain earthly praise. In our own culture being pious is hardly a cause of admiration and praise, but within the Church, among Christians, we could still run in the temptation to show off our religiosity in order to gain moral high ground. So Jesus invites us as well as to keep our personal piety secret – the money we give to the church, the poor people we help, the fast days we keep, the prayers we say outside church… all these are meant to be between us and God, not an opportunity to gain admiration. So in our gospel reading Our Lord is not condemning any particular religious practice; he is condemning our pride that makes us use personal religious devotions in order to appear better than others. 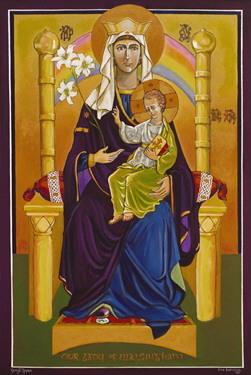 But let us go back to the liturgy of the ashes; if we were doing this individually in order to be praised by others we would be doing this in spite of Jesus’ commands buecause yes, it is true, in this liturgy we show rather visibly to be sorry for our sins, we show that we are beginning a time of fast, prayer, and almsgiving, and we inevitably show that we are religious but – and here is the catch – we do this corporately. says the prophet Joel (2:15-16). We don’t put ash on our heads in spite of Jesus’ commands, because we do it together. In fact, we do this because of Jesus – by calling to all the faithful to a corporate time of repentance the Church limits the possibilities to use personal religious devotions as a means to show ourselves better than others. We do it together so no-one can boast or feel not good enough. 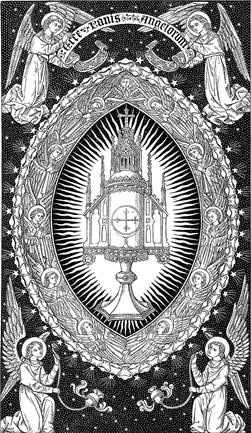 At this liturgy no-one is holier-than-thou, no-one is more pious than the next, and everyone is marked with the same symbol of repentance. At this liturgy there is no cause to praise one’s religious efforts to criticise another’s lack of good works – we all have sinned, we all need ashes on our heads to remind us of penitence; we are all in this together.